These days many home owners don’t mind jumping in to fix up faulty home furniture as well as fixtures and fittings. 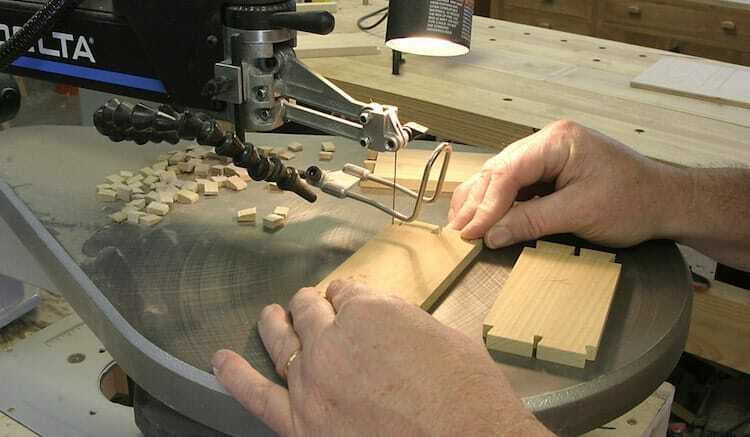 If you are carrying out any intricate work with wood, one of the tools you will end up needing is the scroll saw. While we recently took an in depth look at some of the best scroll saws on the market today here, we didn’t cover exactly how you use one. That’s what we will try to do now. Before we dive in to give you details on how to use a scroll saw, we should probably cover exactly what one is. 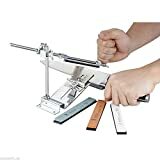 Much like a manual coping saw is used to cut tight intricate shapes with wood, the scrolling saw is the electric equivalent. In fact, the following video is the best way to show what a scroll saw is. Its primary use is for cutting intricate patterns into wood, metal and other materials. Used for working with thin wood as well as for scroll sawing. It is used to save up on space as in most cases, home improvement actions can be done with the saw alone. 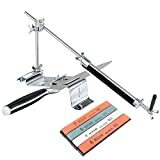 For cutting intricate curves and joints. Also, they are used for cutting dovetail joints. Select a blade that goes in line with the type of wood being worked on as well as the pattern in mind. Power on the scroll and cut in line with the pattern chosen. In the case of a saw that comes with inbuilt speed control, you can adjust the blade depending on the wood being used. Having a steady arm is imperative as it prevents mistakes from being made when aiming the scroll blade on the pattern to be cut. Use both hands when guiding the wood to work with the blade. As the blade is being worked against the wood, it is important to pay attention to the rate at which the blade is being fed into it to be able to make an intuitive decision on whether an adjustment needs to be made to the feed rate. The saw should be drawn back from the wood when a joint is met. The above steps should be repeated on the next line until all outer pieces have been cut off. A thorough analysis of the work area has to be done prior to commencing work. Head gear like ear mufflers or noise cancelling headphones and eye protectors should be used. The ear mufflers protect against noise while the eye protectors prevent stray wood and splinters from entering the eye. Nose masks should also be worn to prevent dust from clogging the nostrils. Ensure the scroll is well attached to the work bench. Make sure to switch off the tool if any adjustment needs to be made to the wood or tool itself. The machine should not powered on until everything surrounding the work table is cleared and until all handles are locked. While the above video details servicing our top pick Dewalt DW788 scroll saw, many of the same principles apply, no matter which saw you own. 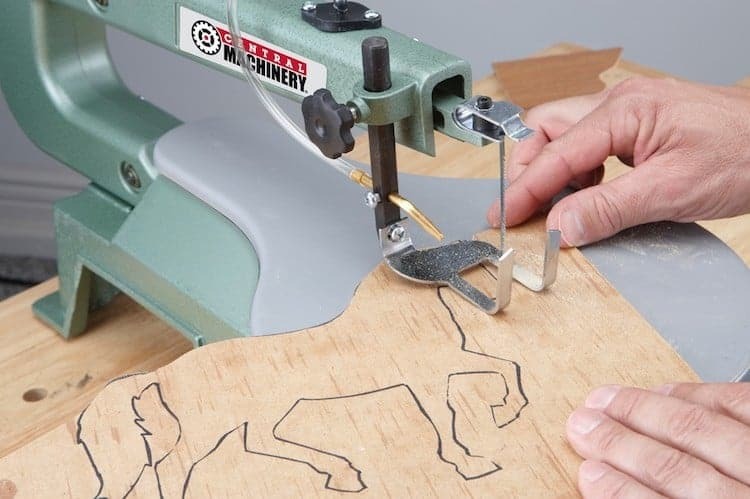 The fact is, just like any tool or machinery the scroll saw has to be maintained if you are to get the best out of it. This is done in other to extend the life span of the tool as well as ensure effective and efficient functionality. The saying that prevention is better than cure is the guideline for maintenance as proper upkeep reduces the probability of having to purchase a new scroll saw on a regular basis. The table in which the scroll saw is to be placed on should be properly waxed as it ensures that the scroll saw has no problems following the movement of the guider. The manual that comes with the scroll saw should be read to determine if the blade needs lubrication and how often it should be done. Attention should be paid to the vibrations of the machine in case there are stutters, indicating that your saw needs servicing. Blades should be cleaned and wiped after use.